As an integrator, we see the need to have knowledge not only of the press controls, but of the entire press line. That's why we've engineered and commissioned projects which included uncoilers, straighteners, feeders, transfer systems and stacking/destacking units. <.5br/> Having an integrator who knows more than simply the press controls will not only save you time and money, but will help speed up your production by syncing your entire press line to work together. If you have any questions about your press line with regards to functionality or any other problems, contact us using the form below or at 1-800-TTOLEDO. 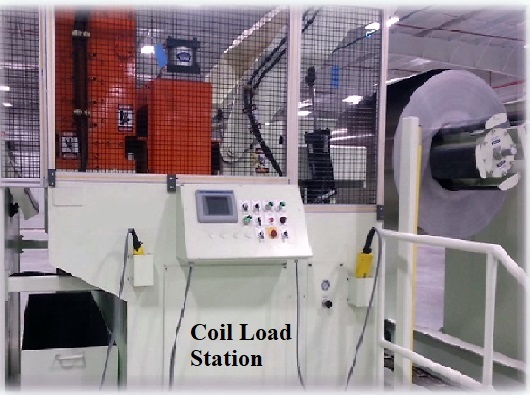 72" High Strength Aluminum Alloy coil feed line: The automotive industry demands new innovations every day in order to stay on the cutting edge of technology. 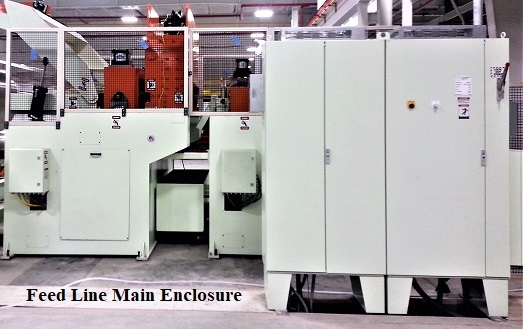 When this feed manufacturer was tasked with developing a coil feed line capable of straightening and feeding a high strength aluminum alloy into a 1200 ton servo press, at a Tier-1 automotive supplier, Toledo Integrated Systems was contacted. TIS was to design, build, program and commission the Allen Bradley control system for the new coil feed line. Engineers at TIS worked with the team from the feed manufacturer in developing a control system that was capable of meeting the requirements of the new feed line. 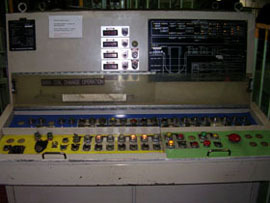 Method: All control panels and enclosures were designed and built by TIS. The wiring and components were inspected and then shipped. 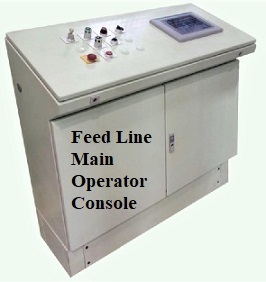 Once at the feed manufacturer, the control was installed and wired to the feed line. After installation was completed, an engineer from TIS commissioned the feed line. The next step was to verify all safety circuits were properly working. A check of all I/O was conducted along with ethernet communications. All drives were calibrated and tested. All motors were tested and checked for proper rotational direction. Finally, all lasers were calibrated and tested. The feed line was then shipped to the end customer where it was installed. The TIS engineer continued commisioning the feed line control on site. The interlocks and safety circuits for the press and feed line were tested. All motors and drives were checked and tested again along with all I/O. All calibrations were checked and tested as well as all ethernet comminications. The feed line was then ready to be tested with material. 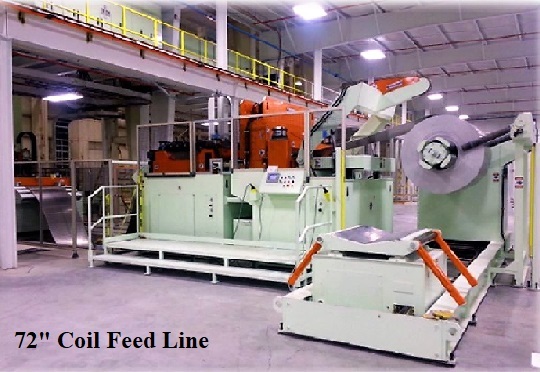 The TIS engineer worked with members of the feed manufacturer and the end customer to load the first coil of high strength aluminum alloy onto the mandrel and thread it through the feed line. The press operators were trained by the TIS engineer to ensure proper procedures were being followed. Results: The finished project was a success. TIS was able to incorporate all of the necessary features for the feed line control as well as the added features desired by the customer. With communication to the press control and the ability to store up to two hundred job recipes, setup times were reduced. With touch screen HMI's that were easy to navigate and included important line diagnostics; operators were more efficient which also reduced down time and setup time. 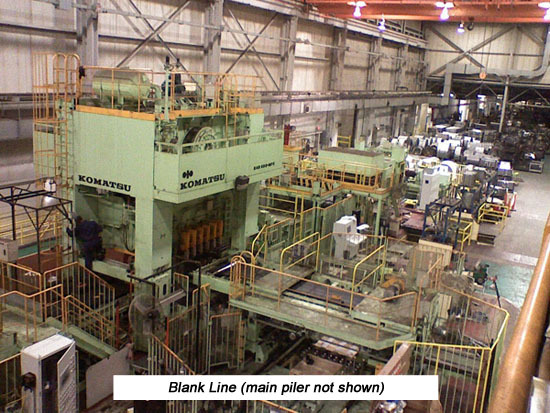 Control retrofit on a Komatsu blanking line: The original blank line was installed in the 1980's. 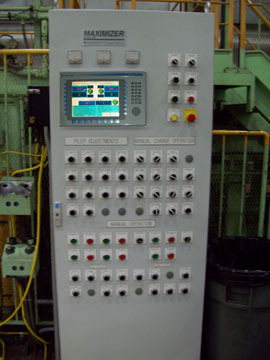 Not only did the controls not meet current OSHA and ANSI specifications, but over time the electrical controls started causing excessive downtime. 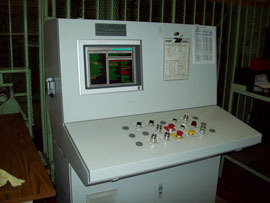 Part of the downtime was attributed to the controls being difficult to troubleshoot. Another problem was that many of the existing components were obsolete. They were not only very expensive to replace, but very difficult to get. 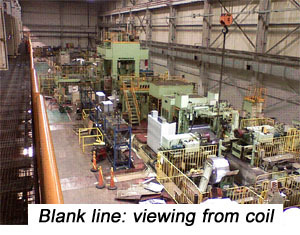 This is the only blanking line our client has and it is the sole blank supplier to four large mechanical stamping presses at their facility. Our client was looking for a complete solution provider, including a turn-key installation. They turned to Toledo Integrated Systems for help. With our past experience on other projects, we had proven ourselves to be competitive, reliable, and on-time. The Solution: In looking at the size of the project, it was determined that we needed to break it down into three manageable sections. By supplying new controls for the entire blank line, we would be able to integrate all three sections seamlessly. The decision was made to use Allen Bradley ControlLogix PLC's that incorporated DeviceNet and Ethernet to communicate to the distributed I/O, PowerFlex 700s drives (w/ DriveLogix) and the operator HMI's. Toledo Integrated Systems provided the engineered solution, hardware, programming and the complete installation. It boils down to: Controlling 33 electric motors + 5 AC frequency drives + monitoring 23 resolvers + 3 safety zones + programming 2 Allen Bradley ControlLogix PLC's with over 900 I/O points + 3 operator HMI's + writing over 2,700 lines of PLC code + drawing 215 electrical schematics. 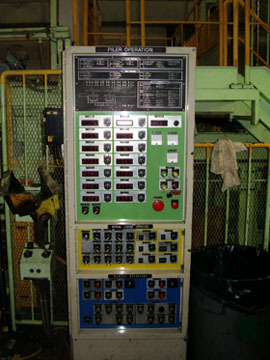 Results: Prior to the Toledo Integrated Systems' retrofit, the blanking press controls were obsolete and did not meet current OSHA and ANSI specifications. The blank line was only able to run at 60% of its maximum speed and the downtime was becoming an issue. 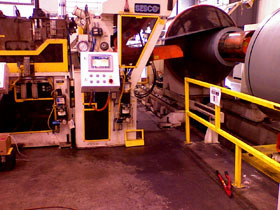 After the retrofit, the blank line is up to date and is now able to run at top speed, while keeping required quality specifications. The die change-over time has also decreased due to an ADC (auto die change) program that was added to the line. The ADC automatically guides the set up person through the change over, step by step. This ensures that each step is done in sequence and the process will not continue until each step is completed. Overall production has increased due to the new controls and new improvements that were made to the blank line.